We want our patients to be as informed as possible when it comes to their dental health. That means we have to keep ourselves up to date on the latest techniques through continuing education. It also means that we want to provide you with the information you need to make enlightened decisions. Meet Our New Comprehensive Dentistry Page! Our goal was to be as informative as possible with what comprehensive dentistry is all about and how it affects you. You’ll find the page right here. We know for some it’s very easy to get stuck in a pattern of waiting till the pain is almost unbearable until you break down and make an appointment. The information in the download, as well as the page, is meant to guide you in the direction of taking preventative steps before problems like that arise. Now especially is the perfect time to make a trip to our office, even if it’s been a while. Towards the end of the year, your dental insurance benefits need to be used so you’re not wasting that money you’ve already paid in. 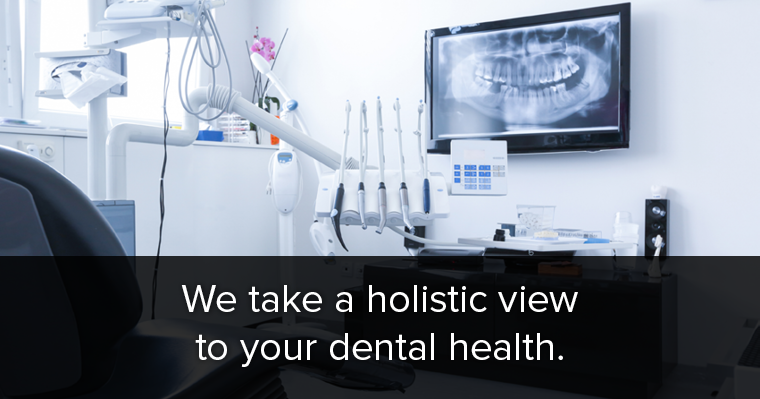 We’re not here to judge you about your current dental habits or where you’re at with your dental health. We only want to give you the best dental care that we can offer and not try to sell you on services you don’t need.